I organize in order to enchant, balancing receptivity. I seal the output of timelessness with the rhythmic tone of equality. The G-Force for this day and year is 6 Seed, which is also oUR Challenge. The CDK [14.6+14.6+3.1] is Cosmic Monkey: Kin 91, which reminds us that today, we begin the year’s first quarter of 91 days. The PSI for Magnetic 1 always begins a new Tzolkin: Kin 1: Magnetic Dragon. This new Rhythmic Wizard year begins in the Green Castle of Enchantment, a synchronization conducive for Earth Wizards to enact Planetary Magic. From the 13th Noos-letter from Law of Time: “In this first moon we set our intention for the next 13 moons. Three crop circles appeared in England on the 5 Skywalker Day-out-of-Time. Roundway Hill (2), nr Devizes, Wiltshire.Reported 25th July. Now, the South Island [and some of the North Island] has come to a standstill due to the worst snow storm in 20 years. The weather prevented us from crossing Takaka Hill to reach 13 Eagle and 9 Eagle in Golden Bay. But the sun sparkling on the ocean and the snow-covered mountains made a beautiful backdrop for meditation and high-spirited conversation, late into the Solar Star watch 🙂 We began at Morrison’s Cafe, where Galactic Agents 11, 185 and 138 once enjoyed a meal. How was your Day-out-of-Time? Your comments set a lovely tone as we begin the Rhythmic Wizard Ring together. 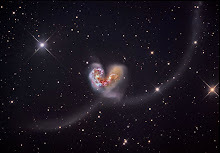 May Love, Planetary Magic and Cosmic Connections Abound! I activate in order to play, bonding illusion. I seal the process of magic with the electric tone of service. Their Aunt [TMQ’s sister Elizabeth] entered her Crystal Hand Ring 4 days ago. This Cosmic Wind Moon contains many solar birthdays and Galactic Returns. For example, Moi and Katy celebrated their Planetary Serpent Returns on Cosmic 21, and Katy’s Solar Birthday is next week. It expanded my Joy and Love to read that they and other Kin will celebrate the Day-out-of-Time at Mt. Shasta, where Christine 3 Skywalker and Cole 2 Human observed the GM108X Day-out-of-Time. 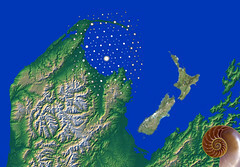 which was followed by a 5.1 earthquake in Christchurch. Today’s Kin 11.3 reminds us of Kin 113: Solar Skywalker, Lord of the Dawn. Ed 9 Skywalker, who also knew V.V. and S.S., is coming from Dunedin to observe this Day-out-of-Time with TMQ and some very ‘Galactic’ Kin who are coded by seal 15: Grayham and Marsha: 13 Eagle and 9 Eagle. These two Eagle Kin exemplify ‘Cosmic Vision’, and also remind us that Rhythmic Wizard beginsCube 15: Eagle Vision, the 15th year of the 16 year Telektonon Cube of the Law. The G-Force for the 5 Skywalker Galactic Freedom Day is today’s PVCS and GAP Kin: 11.3. Electric MonKEY is the first of the four Pacal Votan Clear Signs on the Western edge of the Tomb of Pacal Votan. [113:1] Say, “I seek refuge in the Lord of daybreak. [113:2] “From the evils among His creations. [113:3] “From the evils of darkness as it falls. [113:4] “From the evils of the troublemakers. Jannis 9.7 🙂 See his latest comment [as soon as my slow computer ‘approves’ it] for information on how to order one. You’ll be so glad you did! The wonderful contributions from so many of you during the Cosmic Moon of Presence prompted this last transmission of the Overtone Moon year. My screen only shows a small portion now, making it difficult to view, and so much info keeps coming in, that the format is more like an unorganized ‘stream of consciousness’ at the moment. The Day-out-of-Time stands alone: 13.5, between the years. The first day of the new year will be 6 Wizard, which added to the Year: Rhythmic Wizard [14.6] and the Moon: MagneticNight [3.1] will be Cosmic: 11.13, Kin 91, Cosmic MonKEY. A unique synchronicity led to further exploration of something found at Cliff High’s site: While waiting for the two huge words to fully load, TMQ retired, close to midnight. Before she fell asleep, the words: ‘The Plan’ ‘asked’ to be calculated alpha-numerically. The V.V. way is: T=200 + H=8 + E= 5 = 213. So, the most common word in the English language translates to 213: Overtone Skywalker, which codes this Galactic Freedom Day, when we invoke the 7th Bolontiku: Single Wing Red Fire. By this time, it had just become the 364th day of the Overtone Moon Solar Ring. 213 + 151 = 364. “We Are Anonymous. United As One. Divided By Zero” The one year Plan, which began during the Cosmic Wind Moon seems to be in alignment with the Divine Plan, and with the expansion of Love and Joy. Perhaps Kin who utilize social networks can investigate The Plan fURther http://www.whatis-theplan.org/forum, and spread it’s legal and PEACEfull Plan for Freedom and Unity before 10 Mirror. This 10-sided fromation appeared on 10.2, which was the solar birthday of Nicola, the originator of the Geo-Walk. Roundway Hill, nr Devizes, Wiltshire. We are so grateful to Stephanie South 3 Serpent, for her “Enduring” service during these challenging times. That year, we received a response in the form of a crop circle containing the Roerich Peace Symbol. On 5 Skywalker, let’s commune with Valum Votan, and also invoke another symbol of PEACE from the Circle-makers 🙂 Let’s also ask for protection as suggested by The Lord of the Dawn. May we enter the Rhythmic Warrior Ring united in Love and Truth. Magic Turtle Cosmic Star marked the end of 16 cycles of 13 days, and 18 cycles of 20 days. The Noosphere Constant; Kin 79: 1 Storm is today’s Challenge. The Analog, 1 Dog codes the annual Wavespell of this year, which ends in 4 days. The G-Force is 4 Storm, and the PSI is 7 Dog. Long Count: 5 Dragon. The 11 day break from posting [caused by a varitey of technical issues] allowed me to consciously savour ‘my Birthday’s Wavespell’ and to feel in closer touch with all of you, and with Spirit. Heart-felt Thanks to each of you for holding this space so beautifully. 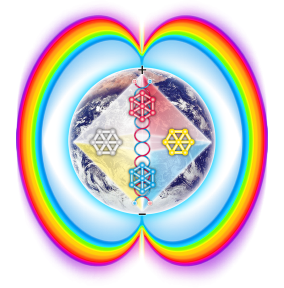 These incredible rainbows and double spirals bode well for the Rainbow Bridge and oUR Awakening of the Seventh Lord of the Ring: Single Wing Red Fire, coded by 5 Sun, and of his G-Force, 3 Mirror, the Heart Oracle of Supreme Golden Maiden. It is auspicious for the completion of the Mystery of the Stone, that the 5th and 7th Bolontiku are embodied by two persons who became known in the public sphere during this Seventh Solar Ring. TMQ’s nephew Jud brought awareness to his kin, 5 Sun, when he appeared weekly on the Survivor Nicuagara show, and won! On the 5 Skywalker Day-out-of-Time, let’s Invoke the 7th Lord of the Ring: Single Wing Red Fire. He is the only Bolontiku to be Overtoned by the Feminine Lord of Time, Supreme Golden Maiden. Perhaps the Double Spiral crop circle on ‘their‘ day was a sign of the Equality, Resonance and ultimate Uniting of the Male and Feminine that will bring Peace and Spiritual Evolution. Only 4 days remain of the 7 Years of the Mystery of the Stone. I empower in order to explore, commanding wakefulness. I seal the output of space with the overtone tone of radiance. This will be our first Day-out-of-Time without Valum Votan, the man who taught us about this special day that ‘Overtones‘ the Solar Ring of 13 Moons. Whether you observe this day with other kin, or not, know that the Closer of the Cycle is with us, especially as we are meditating the RAINBOW BRIDGE. So much happened during this 7th year of the Mystery of the Stone, but considering that 3 almost-finished posts [for Kin 200, 203 and 207] were lost, the momentous events of the Red Overtone Moon ring will be recapped in a later transmission. The inability to post gave TMQ pause to think about the best way to “Serve” during her Electric Mirror ring. Nearly daily blogs [663 posts] began on H.P.Blavatsky’s solar birthday on Aug. 12, 2009 [Kin 21] and ended on TMQ’s 2011 solar birthday [the Kin 197 blog was posted in the morning of 198 here]. I am guided by the power of universal water.I am a Galactic Activation Portal, enter me! Day 13: Cube 7: Accomplishment. 7::13 as 4::7. Today’s Kin 197 is the 4th of the 7 Solar Witnesses/Lords of The Ring. On Kin 197, Valum Votan discovered that its Mirror: 791 equaled the number of days until until 12/21/2012. 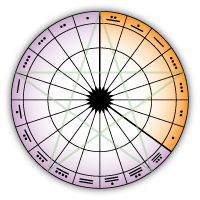 “Since Kin 197 represents the fourth and central book of the enigmatic Book of the Seven Generations, and the only one that is a Galactic Activation Portal, I knew the terma would be the unfolding of the “contents” of this book, now understood to include the Seven 113-day cycles of the Lord of the Dawn.” As readers know, Kin 197 also marked the beginning of 7 144 day cycles until oUR 2013 Galactic Synchronization on July 26. This article: http://theextinctionprotocol.wordpress.com/2011/07/08/measuring-the-speed-of-earthchanges-by-monitoring-the-planets-pulse/ is related to oUR Planet’s Pulse. Ava Maino 8 Earth shared how he manifested abundance during the The Night Wavepell of Abundance and Dreaming which just ended. That, and failing technology [6 year old cell phone and 5 year old computer] are inspiring TMQ to put out a call for abundance. She has devoted 7 years to learning and spreading the sacred information brought to us by the Closer of the Cycle, including giving 20 speeches, conducting countless Round Tables and writing 663 blogs, without ever asking for or receiving any money or material compensation. She donated freely to the Law of Time [and others] until a ‘Perfect Storm’ caused her to run out of money in this land where she is not legal to work, and in a place where winning money from Poker is not an option. Kin 39: Cosmic Storm is his G-Force. 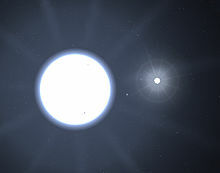 The PSI for Cosmic 11 is Magnetic Star. “Witness!The term “witness” could be seen as appropriate for some of the experiences i have been fortunate to encounter, to which three immeidately spring to mind i would be honoured to share at this special “time”.Based on present understanding of “time”, the three experiencesi am about to share have all but been and gone in terms of realisation and yet their indelible effects remain firmly imprinted upon my mind. The incredible stomach churning feeling of injustice / wrongdoing (for the lack of a more appropriate “word”). A feeling of guilt, impossible to ignore, forever as a reminder.First it was in Roman times i was to experience the death of a prominent citizen, difficult for me to know of this person because of my total ignorance towards history. I completely relived every moment of the events leading up to and beyond his murder. I suppose it could have been described as a nitemare but the sense of realism it left me with extended way beyond anything remotely akin to this. The very “knowing” the the worst crimes had been commited, (and for what), left me wondering what it was all about. All i knew was that it was so wrong! All i could think about was the very fact that it was so wrong! The second occurance was even more vivid and again because of my towards history could not know of this prominent person. All i was aware of was that this time it was actually a king on his deathbed, it appeared and again he was murdered, murdered by his son of all people. Neither this king nor the son would again mean anything to me but i had heard of the sons brother, who i was completely aware was away fighting in battle in France at the time. This brother was none other than Richard the lion heart, a name not many would be ignorant towards. Anyway it was obvious that this would not have happenned had he been there and it was equally obvious that this murder all revolved around the church / religion, whichever you prefer and appeared to be a huge power struggle for which the king was ultimately murdered for his beliefs basically. so once again i was left with the same gut churning feeling of wrongdoing. There seemed to be a pattern emerging, one of murder and deceit towards prominent figures, whose intentions appeared to be nothing other than a vision of peace. At first popular maybe, but then singled out for their beliefs. This kind of reminded me of the depiction of Jesus Christ in a way. The way we accepted him initially for who he was until he was seen as a threat and so we killed him. It left me thinking that maybe there was a message here for me, a message in terms of, if a so called Avatar were to turn up on my doorstep, as ridiculous as it appears, this message would be enough to make me think twice. The third experience was the most profound of all and it was in what would be referred to as Egypt, although i remain sceptical with regards to the timeframe allocated to this era, to which i personally feel a much earlier period would be more accurate. This time i was buried alive and had the sensation of every last drop of oxygen leaving the tomb. The claustrophobic realism as the sarcophagus lid was placed overtop was nothing like i had ever experience, the feeling of suffocation seemed as though it lasted an eternity. I could feel the restraints as i was led to my death, a harrowing experience which once again left me the incredible sense of knowing towards the inexusable wrongdoing. I was aware all the while that i was Nefertiti’s husband and that i was connected in some way with Tutankhamen, this relationship was a little complex but as ignorant as i was with regards to “his”story, had most definately heard of these prominent figures. Shortly after this third experience a friend returnded from England with a book for me and said that they had been given this book to give to me by a clairvoyant which they had visited. This clairvoyant had said that they had purchased this book literally one hour before meeting with my friend and hadnt undertood why, but now upon meeting they knew that the book was to be taken overseas to their friend who they instantly knew to be me. So it was quite a mystery but somehow this book had found its way to me, not the first time this had happenned to me incidentally, in fact many times to date i have concluded things only for a book to be placed in front of me with words inside confirming my thoughts, sometimes two weeks later, other times within an hour, quite strange but i have become accustomed to it now. Anyway within this book my friend had brought me were references to help me confirm that these experiences were linked, which came as no shock as i had already concluded this but it did furnish me with details as to who the individuals were i had so vividly encountered during these three murders. I had also concluded that all three of these individuals had been pursuing a sole purpose, the very same sole purpose and furthermore i considered them all to be reincarnations of the same entity, none other than Hermes in one guise or another, to which i feel this book helped me confirm, a very unususl book i may add but very apt with its timing i must admit. Through the words of this book (and i realise that like any other book, it is merely a book), but neverthless i could not ignore the relevence in particular towards “Akhenaten“, the third death i had experienced and the reference to his recognised title as Hermes two. Thank You Neil, for your Witness of these persecuted [and murdered] persons, who are all related to oUR mission at the end of the 13 Baktuns. Valum Votan’s second incarnation was as Quetzalcoatl. The Third Solar Witness and Lord of Time is coded by Magnetic Warrior. Kin 196: 16.1 is the combined Kin of the co-authors of Cosmic History Chronicles; Valum Votan and Stephanie South. It’s so appropriate that ‘they code’ the Wavespell of Intelligence that has just begun. 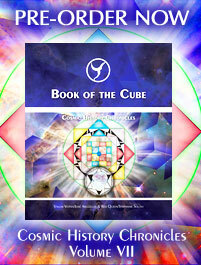 This is the 12th ‘Crystal Transmission’ of oUR 441 Cube Wavespell. Ninth Chamber; Cooperation of Form; ROUND TABLE MEETS; Past Action Formalized; Future Action Prepared. Crystal Wizard also coded the Moon during which the Tomb of Pacal Votan was discovered. The first Round Table of the Cosmic Spirit Moon begins a week coded by the Seven Solar Witnesses/Lords of Time. This ‘Perfectly-Timed’ week occurs in the last 19 days of the Seven Years of the Mystery of the Stone. The quoted information that follows is from the volume with that title, sub-titled: “Closing the Cycle 2012” “Resurrection of the Soul in Time” by Valum Votan. The First Year of the Mystery of the Stone began on Kin 259: Blue Crystal Storm, first day of the Blue Crystal Storm Solar Ring/Year [7/26/2012] That year we awakened the First Lord of Time: Luminous Single White “A”, whose Heart Oracle was coded by Kin 194: Crystal Wizard. This Seventh and final year of the Mystery of the Stone, we are awakening the7th Lord of Time: Single Wing Red Fire, coded by Kin 200; Yellow Overtone Sun. This Crystal Wizard Round Table inaugurates one week to focus on these 7 special Kins; 194 to 200. Welcome to Kraken [about] , who is a Planetary Sun 🙂 20.10’s Solar Birthday is on Crystal 14, a reminder of 14.12; Crystal Wizard. Crystal 14 is also the Solar Birthday of my Nephew: oUR own Overtone Sun Jud, the ‘Survivor‘ who codes the Heart Oracle of the 7th Lord of Time/Bolontiku: Single Wing Red Fire, who becomes fully awakened in 19 days. Christine 3 Skywalker filled in the 11 Skywalker day :), which marked 2 Galactic Spins [520 days] since she discovered and began contributing so much to oUR 441 Cube of Truth. 13.3 +18.8 = 11.11.
the beautiful video ‘Cosmic Love’, for the Cosmic Moon of the Annual Wavespell of Love and Divine Loyalty. Conjunction of the Moon and Venus as seen from the World Heritage Site of Naqsh-e Jahan square (meaning “Picture of the World“) in Isfahan, Iran. “The Yogi listens for the Divine Love Song as it resonates in everything, everywhere, and at every moment”. Yoga is how we experience Divinity”. Today’s Challenge is Spirit [10 Wind], and this is the 2nd day of the Cosmic Cube Journey: Spirit. The Long Count is Kin 144: Magnetic Seed. Today we heard from Iris 144,who viewed a ‘Cosmic display’ in the Netherlands. She closed her comment with: “Love is all! 🙂 Today’s Gregorian date: 7/4 is Mayan notation for 144. Great Gratitude to Angel 12 Moon for describing yesterday’s Kin 191: Solar MonKEY so very beautiFULLY 🙂 “IT IS !! ♥ (((((LOVE))))) ♥ Then, ” love…Leads us deeper into mystery” is in the song Christine 3 Skywalker shared, which is by the lead singer of Depeche Mode, Dave Gohan, who is a Solar MonKEY. All this love flows during today’s G-Force, Overtone Love [Dog]. The PSI for Cosmic 8 is a Pacal Votan Clear Sign: 11 Serpent. http://theextinctionprotocol.wordpress.com/2011/07/03/green-peace-sound-alarms-about-contamination-dangers-of-crippled-fukushima-plant/ In this video, a Greenpeace member describes the disturbing situation he found in Japan. He contrasts the response of the Japanese government, with that of the Russians, who immediately evacuated people from Chernobyl. “Unbelievable“. 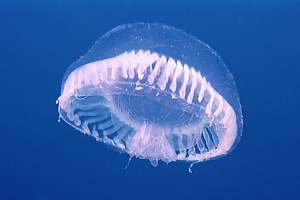 The Jellyfish comes to mind [visually] in the beginning of this wonderful video [from CHC VI: Book of the Transcendence] contributed by Ani, 3 Wind. This video discusses one of oUR Challenges: to be vessels containing sacred knowledge, which is vital when/if our technologies and civilizations are disrupted/destroyed. Thank You 42! Matthew 24: 36; “No one knows about that day or hour, not even the angels in heaven, nor the Son, but only the Father”.